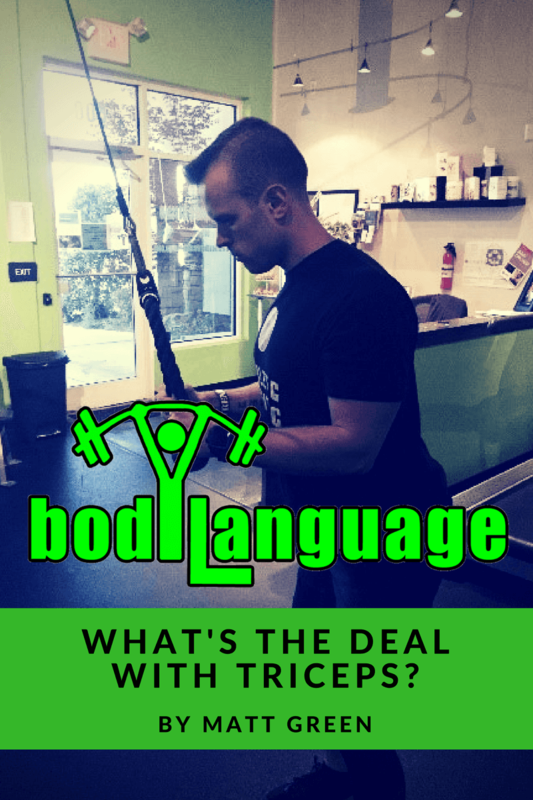 What’s the Deal with Triceps? Out of all the body parts most people want to improve the appearance of, there is one that is a constant and that is the arms. There is something about an aesthetically pleasing pair of arms that really can help build up your overall physique. 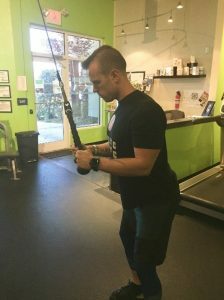 Whether you are preparing for a beach vacation, a wedding, or a night out on the town, having your arms look more sculpted and defined can really add that cherry on top to any outfit. 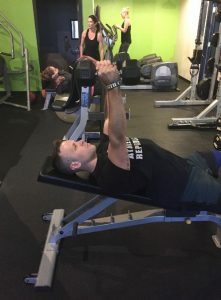 While most people tend to focus on the biceps as the way to tone up the overall appearance of the arms, they are looking at the wrong part. This article is dedicated to the triceps, the part of the arm that makes up 75% of it! 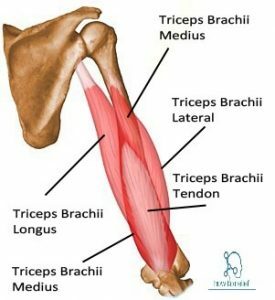 We will be highlighting what makes the triceps so large, their function, and a few exercises to really target them. Can you guess how many muscle bellies your TRIceps are made up of?! It’s 3 lol. This is the primary reason why the triceps make up over ¾ of your overall arm size. Not only are their 3 muscle heads, but due to their function, they tend to be comprised more of the larger muscle fibers (type 2), so they have the greater potential for size compared to their anterior friend, the biceps. Breaking it down, you have the Triceps Brachii Lateral, Triceps Brachii Medius, and Triceps Brachii Longus. The lateral and medius head originate high on the humerus bone while the longus head originates on the shoulder blade (scapulae). This gives it an additional function compared to the other 2. All 3 heads travel along the humerus bone and insert just past the elbow where their primary function is to extend the joint. 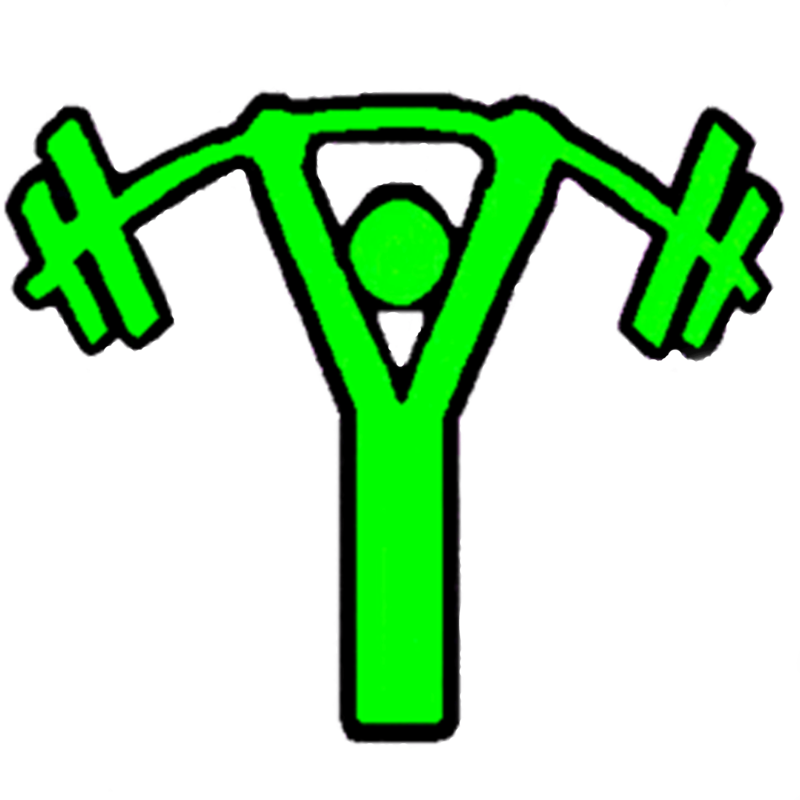 While the main purpose of all the triceps heads is to extend the elbow joint, the longus part, due to its attachment on the shoulder, makes it a weak shoulder extender. 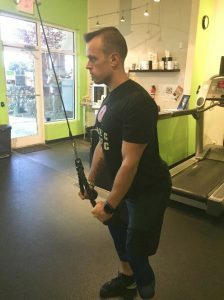 This is why, when you do straight arm pulldowns, you may feel it in your triceps muscle and why it is important to utilize a variety of angles to really hit the muscle for its greatest potential. 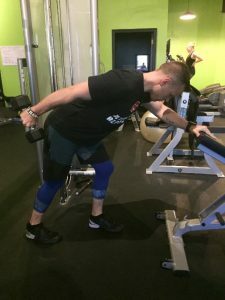 The triceps responds to heavier weight fairly well and if you want to have more “sculpted” arms, you must use various weight intensities and exercises to fully train the muscle. 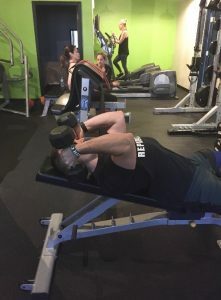 Your standard compound pressing movements (bench press & shoulder press) will hit the triceps hard enough that for beginners you may not need isolated work. As you become more trained and want to see more improvement, isolated work will be required. 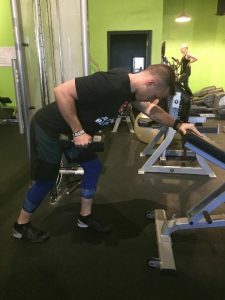 Here are a few of my favorite movements to really hit the triceps fully!